show your Florida-love! 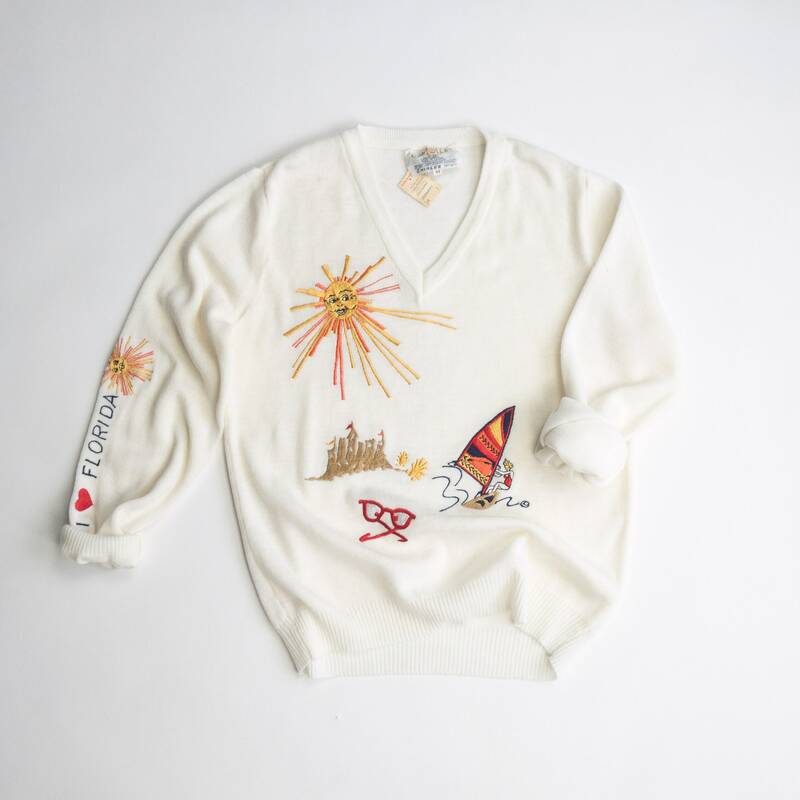 a fun vintage sweater from the 1970s. 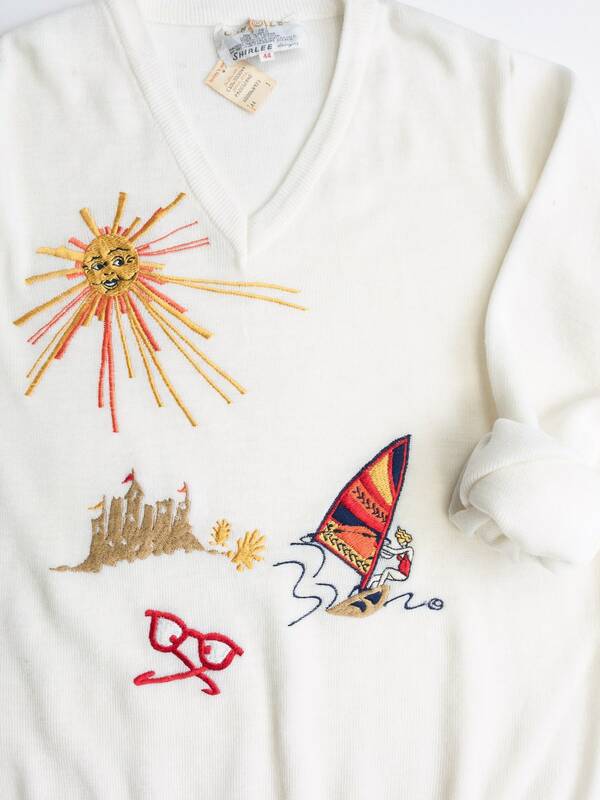 embroidered with Floridian details: sunshine, wind surfing, sand castles and sunglasses and "I love Florida." v neck. 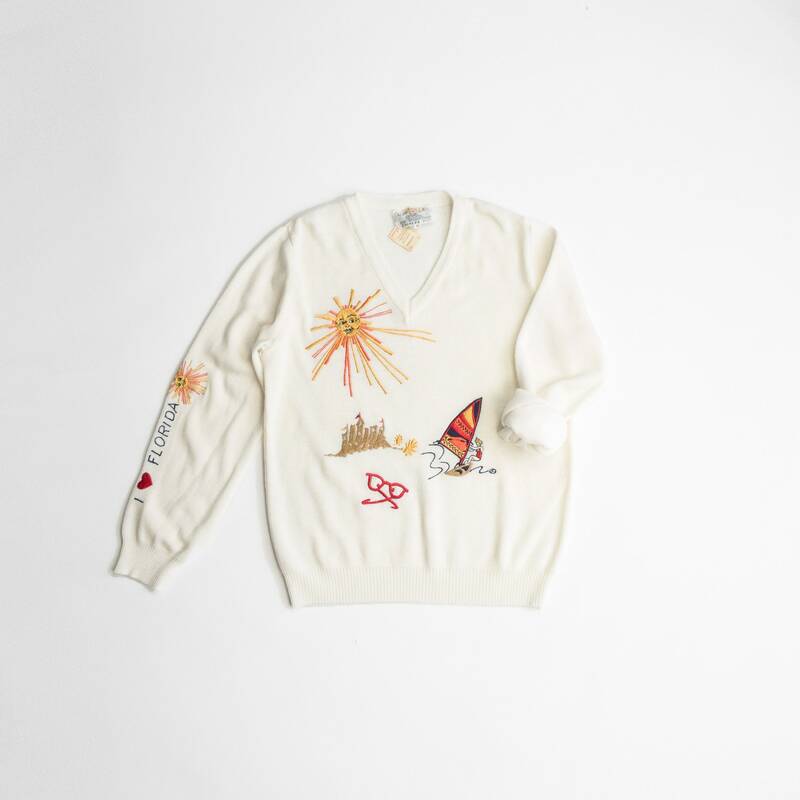 long sleeves. ribbed trim. pullover. 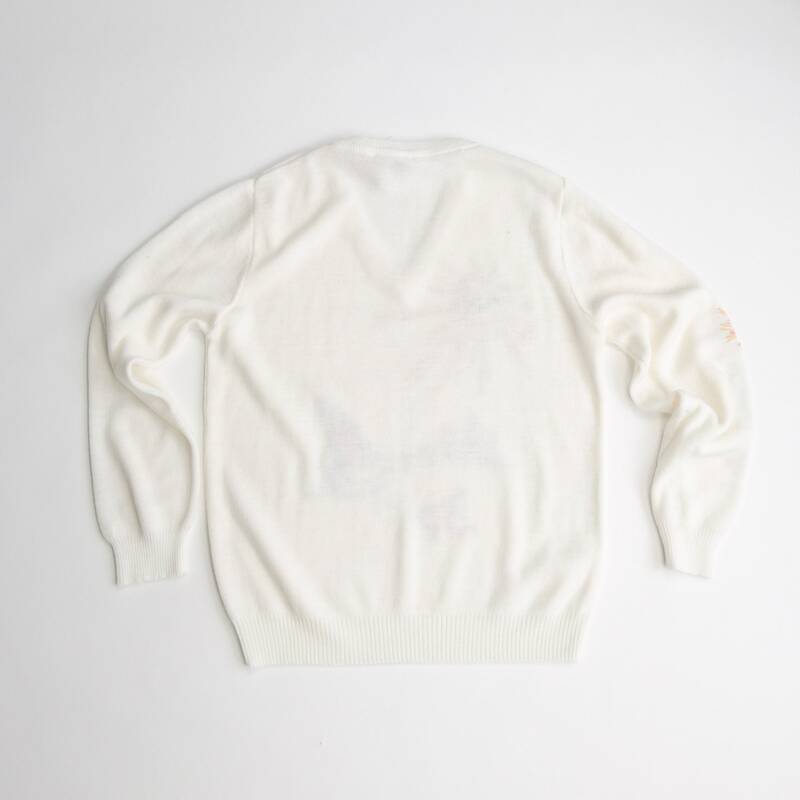 lightweight knit. condition | very good! 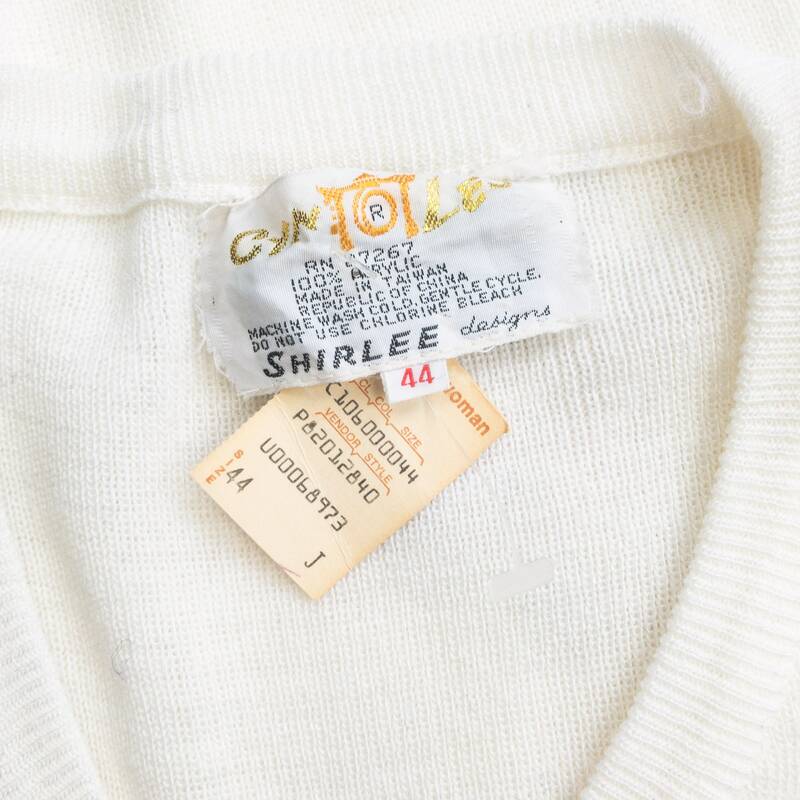 tags still attached. there are a few faint stain/markings at back hemline from storage.